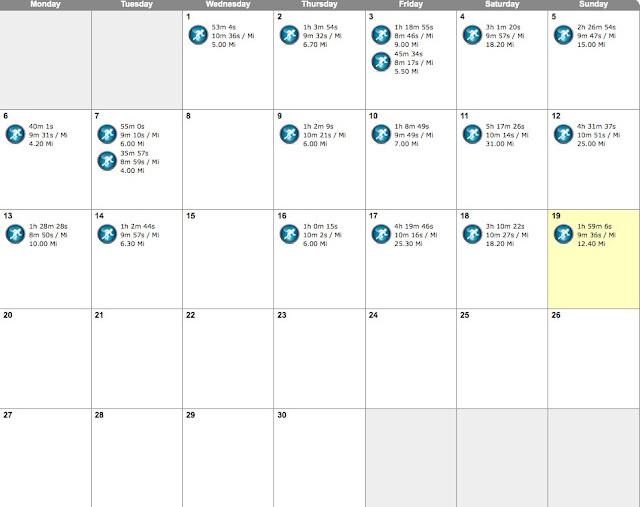 The last 8 weeks of training have been very consistent, with weekly mileage at about 66, 58, 54, 47, 60, 61, 83 and 78. My legs are certainly feeling it. They have worked hard since taking 2 weeks off after Umstead 100, and are ready for an easy taper. I have made a conscious effort to keep my long training runs at a 10-10:30 min/mi pace, focusing more on getting comfortable with the products that we will use at Badwater. 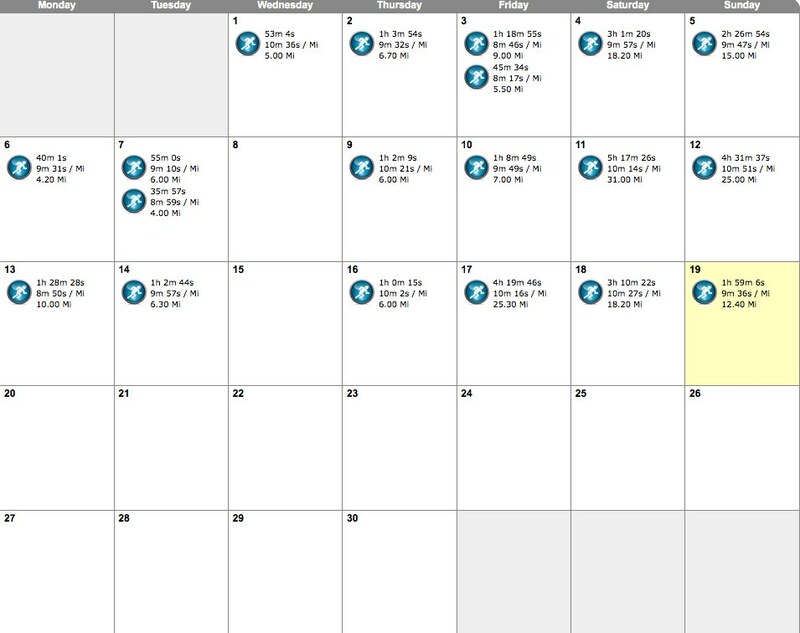 The result - a month of June that has already exceeded the last two year's of June Badwater preparation...and we still have 11 days left in the month. 9:10 AM - 10.00 miles in 1:28:28 (8:50 pace). A great, nice-paced run following a runs of 25 and 31 miles the previous two days. 4:56 AM - 6.30 miles in 1:02:44 (9:57 pace). 4:56 AM - 6.00 miles in 1:00:15 (10:02 pace). 5:48 AM - 25.30 miles in 4:19:46 (10:16 pace). Pouring rain, thunder and lightning. My favorite. 5:59 AM - 18.20 miles in 3:10:22 (10:27 pace). Dead legs. Absolutely exhausted. The first 12 miles were under a 10 min/mi pace. The last 6.2 miles were tough. 7:55 AM - 12.40 miles in 1:59:06 (9:36 pace). Pleasantly surprised to be able to keep this pace on a hilly Father's Day run, especially considering yesterday's struggles.